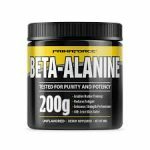 The price on the PrimaForce Beta-Alanine Powder Supplement (200 Grams) drop to $8.24. plus, free shipping. This is the best total price by at least $6. Deal Categories: Pre Workout Products.Stores: Ruesco. 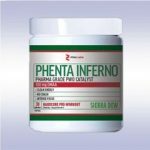 Ruesco is offering a special 30% OFF the Atlas Labs Phenta Inferno DMAA Pre-Workout, which drops the price from $39.99 to $27.8. 400mg of caffeine, 100mg of DMAA.